It's hard to single out the worst bit. The decision to cancel more than 2,000 flights on short notice? The drip-feeding of affected flight details? The PR car crash? The fact that Ryanair continued to sell €19.99 'autumn getaway' fares as all hell broke loose? All bad. But the worst was the fact that customers were so clearly being treated as fares, as data, and not as human beings. Ryanair's decision to cancel up to 50 flights a day for a six-week period, ostensibly to reduce a backlog of pilot holidays and improve punctuality, was "clearly a mess". But he continues to push the line that less than 2pc of passengers were affected, despite the fact 100pc of trips for this six-week period were effectively in doubt until a full list of cancellations was released late on Monday. Even if it is "just" 2pc, that's still almost 400,000 passenger journeys. That's still hundreds of thousands of people with hotels booked, annual leave taken, grandchildren to visit, weddings to attend and business meetings to go to. 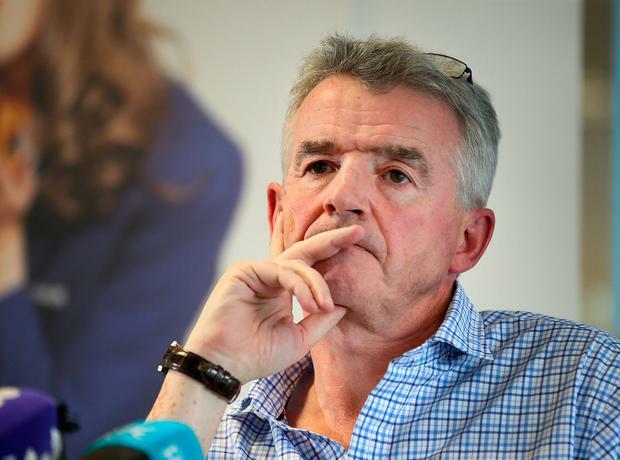 The raw contempt for passengers quickly blew up in Ryanair's face. It hit social media like a loose firehose. It was a watercooler moment, and, as has become clear, it's not something O'Leary can brush off with his bluster. Ryanair has spent more than three years rolling out its 'Always Getting Better' programme of customer service improvements. It has made genuine progress, introducing new uniforms and interiors, free second cabin bags, a vastly improved app and several family benefits, among many changes. But this year, it has seemed determined to undo that. Dr Jekyll has tried really, really hard. But Mr Hyde keeps punching him in the face. In a triple-whammy of PR hits, Ryanair has been forced to deny claims it is splitting up passengers who refuse to pay for seat selection, it has announced plans to stop passengers from taking 10kg carry-on bags on board unless they fork out €5 for priority boarding… and now this. What impact will the fiasco have on its new school travel service? Its efforts to cater for families, or 'Ryanair Holidays', its package holiday platform? Q&A: What if my flights are cancelled? Can I get compensation? Of course, most of us will continue to fly with Ryanair. Competitors like Aer Lingus may get a bounce in bookings and sentiment, but they simply cannot compete with its scale and resources in the long term. We love to hate Ryanair, but we know that no airline has broadened our horizons like it; that it is cheap, safe and its route network is second to none. Plus, we're suckers for flash sales. Ryanair is not a charity. It is entitled to make a profit. For all the cancellations and backlash, it will continue to do that. But this brutal week will make a difference. The lights have come up in the nightclub, its attitude to customers has been laid bare, and everyone is squirming. Ryanair will carry this baggage for a long, long time. We get what we pay for. Right now, it's always getting worse. Ryanair Q&A: What if my flights are cancelled? Can I get compensation?